Africa’s rich natural resources offer a unique opportunity for a breakthrough in improving the lives of Africa’s citizens, says a major new report launched today by Kofi Annan, the former UN Secretary-General, at the World Economic Forum in Abuja, Nigeria. But according to the report; too often, these resources are plundered by corrupt officials and foreign investors, and rising inequality is also blocking Africa from seizing that opportunity for a breakthrough. The 2014 Africa Progress Panel report: ‘Grain, Fish, Money: Financing Africa’s green and blue revolutions’, calls on Africa’s political leaders to take concrete measures now, so as to reduce inequality by investing in agriculture. 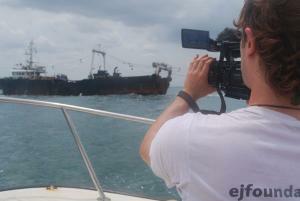 It also demands international action to end what the report describes as; the plunder of Africa’s timber and fisheries. “Africa is a continent of great wealth, so why is Africa’s share of global malnutrition and child deaths rising so fast? The answer is that inequality is weakening the link between economic growth and improvements in wellbeing,” he said. Although average income has risen by one-third in the past decade, there are more Africans living in poverty now – around 415 million – than at the end of the 1990s. New global development goals are likely to aim at eradicating poverty by 2030 – but on current trends, one African in five will still be in poverty when that deadline arrives. The report’s authors identify agriculture as the key to growth that reduces poverty. They point out that most of Africa’s poor live and work in rural areas, predominantly as smallholder farmers. “Countries that have built growth on the foundations of a vibrant agricultural sector – such as Ethiopia and Rwanda – have demonstrated that the rural sector can act as a powerful catalyst for inclusive growth and poverty reduction,” says Mr Annan. The report calls for a “uniquely African green revolution” that adapts the lessons provided by Asia to African conditions. Africa currently imports US$35 billion of food, because local agriculture is dogged by low productivity, chronic underinvestment, and regional protectionism. Increased investment in infrastructure and research could dramatically raise the region’s yields and the incomes of farmers. Meanwhile, eliminating the barriers that restrict trade within Africa could open up new markets. While critical of African governments, the Africa Progress Report 2014 also challenges the international community to support the region’s development efforts. It highlights fisheries and logging as two areas in which strengthened multilateral rules are needed to combat the plunder of natural resources. 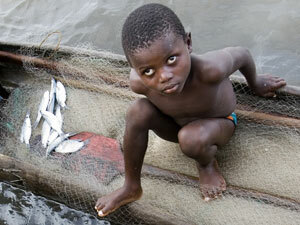 Illegal, unregulated and unreported fishing has reached epidemic proportions in Africa’s coastal waters. 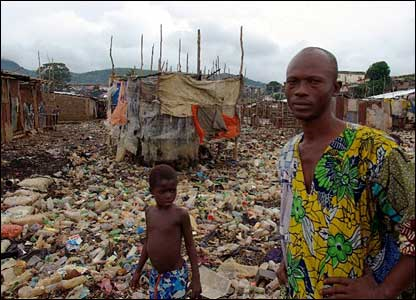 West Africa is conservatively estimated to lose US$1.3 billion annually. Beyond the financial cost, this plunder destroys fishing communities, who lose critical opportunities to fish, process and trade. Another US$17 billion is lost through illicit logging activities. ”Natural resource plunder is organized theft disguised as commerce. Commercial trawlers that operate under flags of convenience, and unload in ports that do not record their catch, are unethical,” Mr Annan said. He added that these criminal activities compound the problem of tax evasion and shell companies. The Africa Progress Report 2014 calls for a multilateral fisheries regime that applies sanctions to fishing vessels that do not register and report their catch. The report also calls on governments around the world to ratify the Port State Measures Agreement, a treaty that seeks to thwart the poachers in port from unloading their ill-gotten gains. As well as losing money through natural resource plunder and financial mismanagement, Africans miss out on money from abroad, not only when aid donors fail to keep their promises, but even when those in the African diaspora send remittances home to their families. It is estimated that that the continent is losing US$1.85 billion a year, because money transfer operators are imposing excessive charges on remittances. With greater resource revenue, African governments now have the opportunity to develop more effective taxation systems – and spend public money more fairly, the report adds. For example, 3 per cent of regional GDP is currently allocated to energy subsidies that principally go to the middle class. That money should be diverted into social spending to give the poor a better chance of escaping the poverty trap. “Africa’s resilience and creativity are enormous,” Mr Annan says. “We have a rising and energetic youth population. Our dynamic entrepreneurs are using technology to transform people’s lives. We have enough resources to feed not just ourselves, but other regions, too. 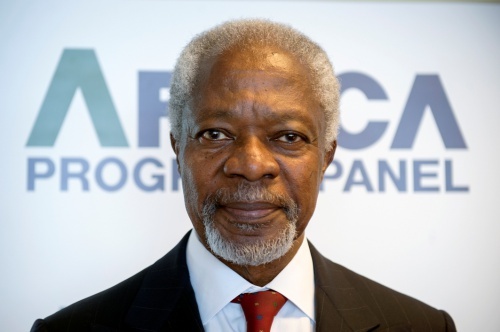 “It is time for Africa’s leaders – and responsible investment partners – to unlock this huge potential”, Kofi Annan told delegates at the Forum.